International Organization for Migration (IOM) said nearly 11.000 stranded migrants returned from Libya through its Voluntary Humanitarian Return (VHR) Program, expressing concern over the alarming increase of the detained migrants' number in Libya's centers. Between January and July 2018, IOM, the UN Migration Agency, safely returned 10,950 stranded migrants from Libya through its Voluntary Humanitarian Return (VHR) Programme as the number of detainees in the country rose alarmingly. The majority of the migrants, 9,636, returned home to countries in Central and West Africa on IOM charter flights. A group of 325 people returned to East Africa and the Horn of Africa, and the remainder to North Africa and Asia. IOM charter flights are coordinated in cooperation with the Libyan authorities, embassies and consulates in countries of return along with IOM country offices and other international organizations. In addition, IOM has assisted a total of 1,314 migrants to return home from Libya on commercial flights in 2018 so far. Many migrants from Libya often opt to return home after arriving in Niger by land, from where IOM organizes their onward transportation to their countries of origin. In 2018 (January-July), IOM returned 2,175 migrants from Niger to their homes (1,443 by charters and 732 by commercial airlines). The VHR programme was launched in 2016 as part of the EU-IOM Joint Initiative on Migrant Protection and Reintegration with funding from the European Union Emergency Trust Fund for Africa (EUTF) in Libya and other countries in Africa. With a high demand among migrants to return home, IOM scaled up its efforts to assist migrants including the expansion of reception centres, reintegration activities and community-based support to returnees and victims of trafficking. In October 2017, the number of migrants in official detention centers dropped five-fold largely due to IOM's efforts to accelerate the repatriation of migrants and the closure of detention centers. 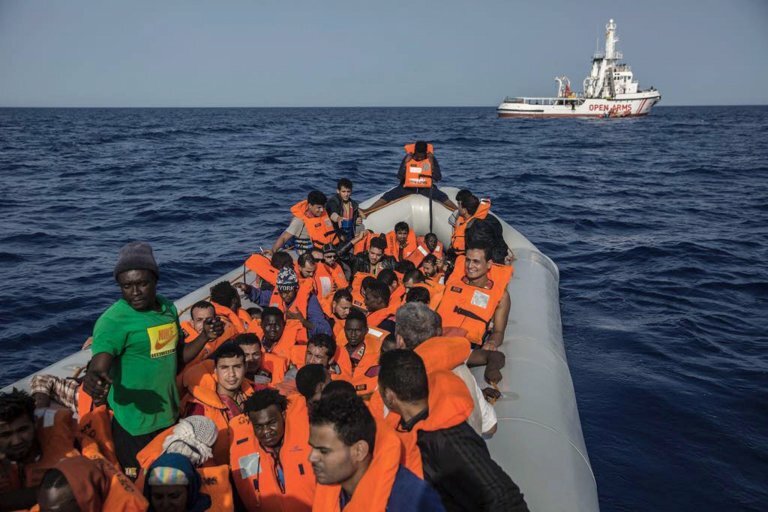 However, in recent months there has been an alarming rise in the number of refugees and migrants intercepted at sea and returned to Libya, with the figure nearly doubling from 5,500 to 9,300 between 2017 and 2018. There are no figures available for the number of migrants detained in informal detention centres run by militias or smugglers. In April 2018, IOM identified 179,400 internally displaced persons (IDPs) along with 690,351 migrants within the country. Despite the current circumstances, Libya continues to be the main transit and destination point for migrants looking to a better life in Europe. Access the latest IOM Displacement Tracking Matrix (DTM) figures for Libya here. IOM reports that the total number of migrants and refugees that entered Europe by the Mediterranean Sea is 60,309 since the start of 2018 through (8 August). This figure is about half of the 117,988 arrivals in 2017 at this time last year. The cause of the number of arrivals decreasing is largely due to a series of measures that have been adopted by EU Member States since late 2016, including the closure of the migratory route across the Mediterranean.